These days, every ski company seems to have its own versions of a fat, rockered pow ski and an all-mountain ski. But it’s the smaller brands that often roll out more specified, niche designs. The Countdown 3, from a small Swiss company called Down Skis, strikes me as one of those interesting, truly purpose-built skis. 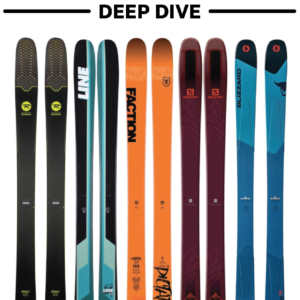 It’s far more conventional than something like the Surface Lab or the DPS Spoon, but the Countdown 3 doesn’t seem to be a “run-of-the-mill,” 115mm-underfoot pow ski, either. 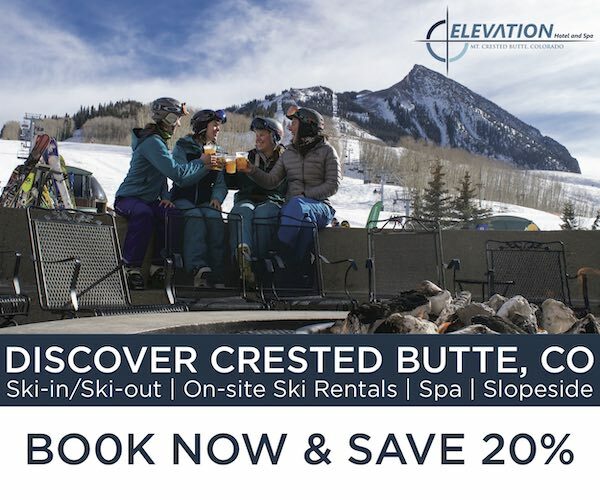 “Unique” is one of many abused marketing buzzwords in the ski industry, but I think Down is right to use it. 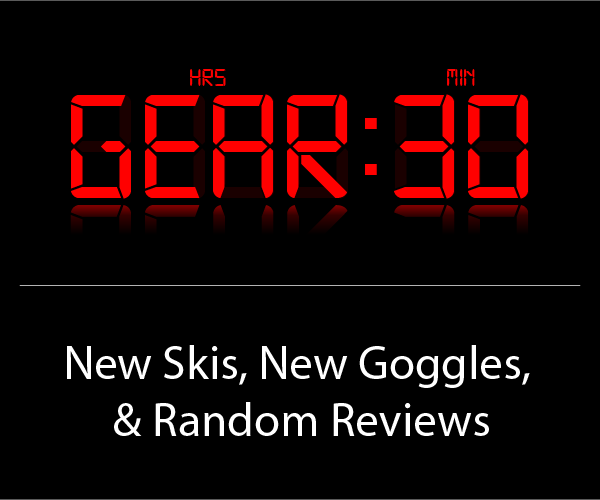 Admittedly, it took me a little more time than usual to begin to figure out the Countdown 3, and I can’t say I’ve been on a ski that handles quite like it…. Testing on the Countdown 3 began in the steeps off the Marte chair. We started out with a run down Pénelope, an hourglass shaped chute with a great view of Cerro Leñas from the top, and a huge, wide open runout at the bottom. That day, the very top of the chute was blown in with about 3” of dense windblown snow, but the choke in the middle was firm—dusted with a little light, collected slough, but windscoured underneath. 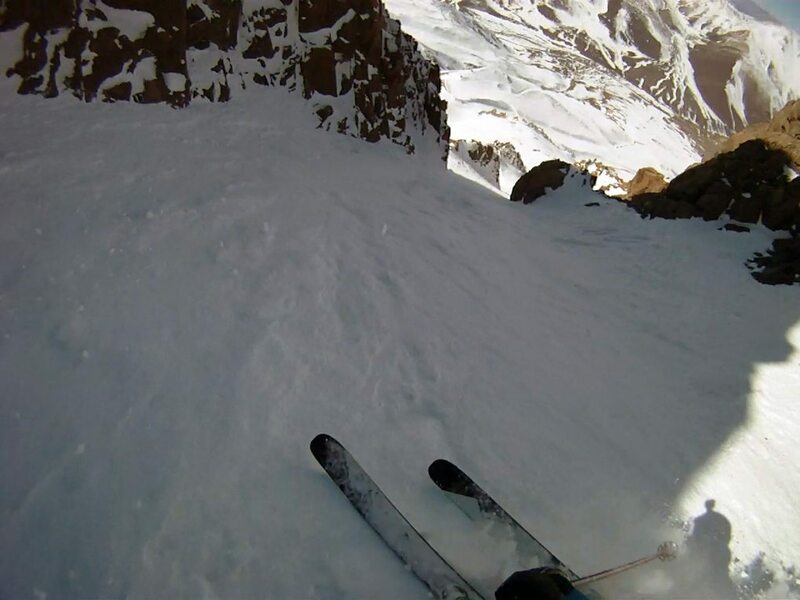 With some quick turns through the softer snow at the top, I made my way down through the narrowest part of the chute, able to smear the Countdown 3’s tails out and throw the skis across the fall line quickly to scrub and control speed. Firm conditions in the choke of Pénelope. * A quick aside to talk a bit more about this ski’s “big-mountain” shape: The Countdown 3 has a “variable” or “progressive” turn radius. Breaking down the different sections of the ski, the Countdown 3’s turn radii measure in at 29m in the tip, 55m underfoot, and 35m in the tail. (Stay tuned for a Gear 101 article that will explain the complexities of sidecut and turn-radius numbers.) For now, the important thing to note is that the ski has a calculated radius of 41 meters. That’s long. With those numbers in mind, I wasn’t too surprised that the Countdown 3 handled very predictably and felt well balanced in the choke of Pénelope (see image above), and in similar firm, smooth conditions elsewhere — just like a more conventional, big-radius, “charging” big-mountain ski might. I had no problem making fast, controlled,and extended slarve turns on the Countdown 3. Yet while the ski feels long in terms of it’s turn radius and this balanced handling, unlike a big-mountain board the Countdown 3’s effective edge is pretty short compared to the full material length of the ski (roughly 96cm). Subsequently I was able to make quick moves in steep, firm conditions rather easily. I never really felt like the ski’s edge hold was insufficient, though it absolutely seemed easier to smear around quickly than something like the Moment Belafonte, Jaguar Shark, or Völkl Katana—skis with more conservative rocker profiles and more effective edge. Interestingly, the Countdown 3 also has 11mm of taper from tip to tail, which some might call a “pintail” shape, though I can’t say I’ve noticed the taper much at all on hard snow (this aspect of the ski does seem to come into play more in fresh, soft conditions, which I’ll get to in a bit). 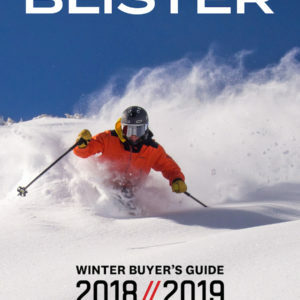 Comparatively, skis like the Atomic Automatic, the Rossignol Squad 7, or 192cm DPS Wailer 112RPC (thanks to its much tighter 20-23m radius and 17mm of taper) feel more responsive on hard snow due to more feedback and energy from the shovel. This makes sense, considering the Countdown 3 has such a straight shape underfoot and through the shovel (plus the short effective edge on the ski is allocated mainly underfoot), and the Countdown 3 has straight sections in both the tip and tail that help minimize hookiness. That’s not to say the Countdown 3 is a better pintail-esque ski than the RPC or those others, but it strikes me as a very different one. On groomed snow, I was able set a stable carve on the Countdown 3, but that same straight and balanced feel in the steeps makes groomers less than exciting (or very exciting—depending on how you look at it). If you want a wide powder ski that’s fun to lay over and carve on groomers, I don’t think the CD3 is it. (For that, try to find a pair of the 11/12 Line Influence 115s or the Rocker2 115). But if you prefer to make as few turns as possible, going mach chicken on your way to the lift, the Countdown 3 will happily do so. * Another side note about mount location: I did try moving the mount point forward from the recommended line (-8cm) to -6.5, to try and get a little more action out of the ski on groomers. With a more forward mount, the ski did feel a bit more responsive when on edge, and was a touch easier to smear out in tighter skidded turns. I’ll continue to play with mount points, but, for now, I think I prefer to keep the CD3 mounted at Down’s recommended line. So far, I haven’t seen much reason to buy this ski for its carving performance. 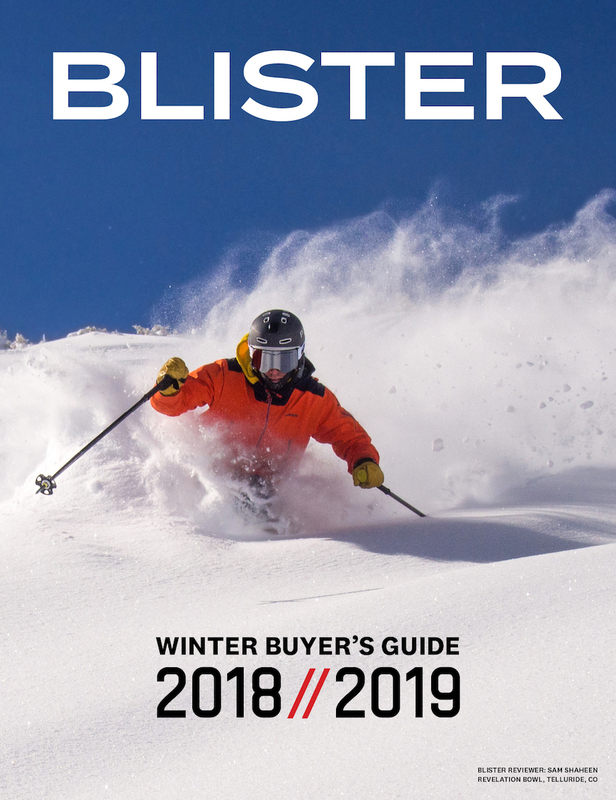 Any move forward to help its low-speed responsiveness would likely do more to detract from its strengths in softer snow off-piste, and that’s where the ski really shines. Did you do anything at all to the tune of the skis? Base bevel/detune? I did hit the shovels with a gummy stone starting an inch or so in front of the contact points, which did seem to help the skis track a little better in really demanding mank/chop. I’ll certainly play around more with detuning as I put more time on the ski (especially in more fresh, untracked conditions with some lighter snow), and look into its more playful side. I sent the tune I’m using to Jonathan a few months ago, and if you have any questions, just send me an email on simen@downskis.com. What kinda ship you running here? Tighten up, Blister! I confess: I’m actually the one who added “funnest,” Zak. As Will Brown and our managing editor, Mike Webster, will attest, sometimes, I like to use words that aren’t words. And other times, I like to insert words that aren’t words into other reviewers’ reviews. I don’t know, It’s complicated…. Hey, I am wondering if there will be a review for the countdown 6? That would be greatly appreciated. love the site! We don’t have a review of the Countdown 6 lined up officially, but as always we love to hear what you want to see reviewed. Thanks for the note and we’ll see if we can’t check out the CD6 this season! 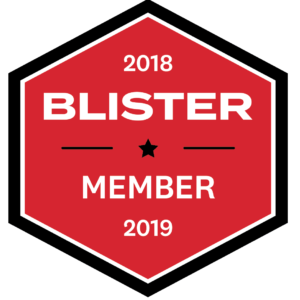 We´d be happy to send a pair of Countdown 6´s to blister for testing as soon as we have a production pair ready, as we are very happy with the level of the reviews here and the precision feedback it provides. Also, a pair of Countdown 6´s from this years production would really highlight the new level of finishing on our skis and the tweaks we have made to our materials for this season. You’re on, Simen. We’d love to take a look at the Countdown 6. Ready when you are….